NEW EXCLUSIVE CAMP: Hoanib Valley Camp is an exclusive and luxury tented camp in north-western Namibia offering six elegant tents. 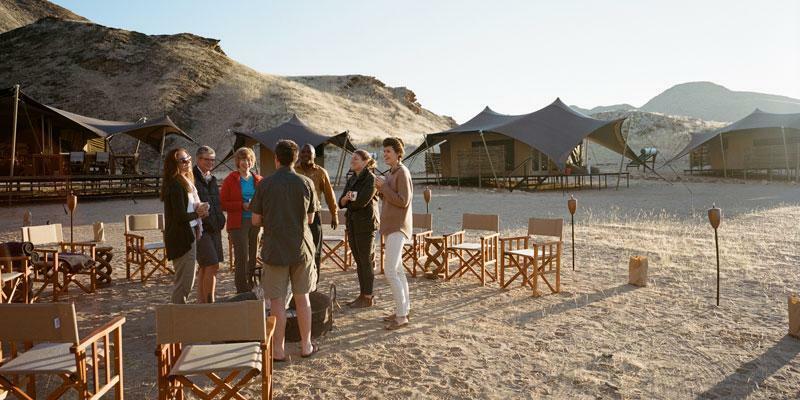 As a joint joint venture between the local communities and the Giraffe Conservation Foundation the camp is situated in the Hoanib river, one of Namibia’s most remote and wild environments. Among other things Hoanib Valley camp offers spectacular game drives in search of desert-adapted animals like lion, rhino, elephant and giraffe.